Franklin Performing Arts Company (FPAC) proudly presents The Nutcracker, bringing special guest artists, a 27-piece orchestra, and some 100 area dancers to one suburban stage. FPAC invites audiences to fall under Drosselmeyer’s dreamy spell and join Clara and her Nutcracker Prince on a journey full of surprises and wonder. A popular holiday tradition for more than two decades, The Nutcracker remains a highly anticipated and treasured part of the FPAC season. Set to Tchaikovsky’s beloved score, the timeless ballet delights the imaginations of audiences young and old with festive magic and colorful splendor. FPAC presents The Nutcracker on Saturday, December 2 at 7:30 p.m. and Sunday, December 3 at 2 p.m. at the Franklin High School auditorium, 218 Oak Street, in Franklin. FPAC’s The Nutcracker is choreographed and directed by Cheryl Madeux, who also dances the role of Sugar Plum Fairy. Ms. Madeux formerly danced with the Joffrey Ballet, Hartford Ballet, and American Ballet Theatre (ABT) companies. A summer faculty member for the ABT Young Dancers Program and an examiner for the ABT National Training Curriculum, she is Ballet Director at the Franklin School for the Performing Arts. Joseph Jefferies will perform the role of the Cavalier. Jefferies, who also choreographed the Arabian and Waltz of the Flowers dances for this production, danced professionally with Pittsburg Ballet Theater, Ballet Arizona, Ballet Memphis, and Les Ballet Trockadero de Monte Carlo. He is an award-winning choreographer, creating more than 30 works for companies including Ballet Memphis, Miami City Ballet, Ballet Trockadero, and Ballet Yuma. Rosario Guillen, a student of the Boston Conservatory at Berklee, will dance the part of the Nutcracker/Prince, and Aaron Andrade of Lincoln, Rhode Island will perform the role of Dr. Drosselmeyer. 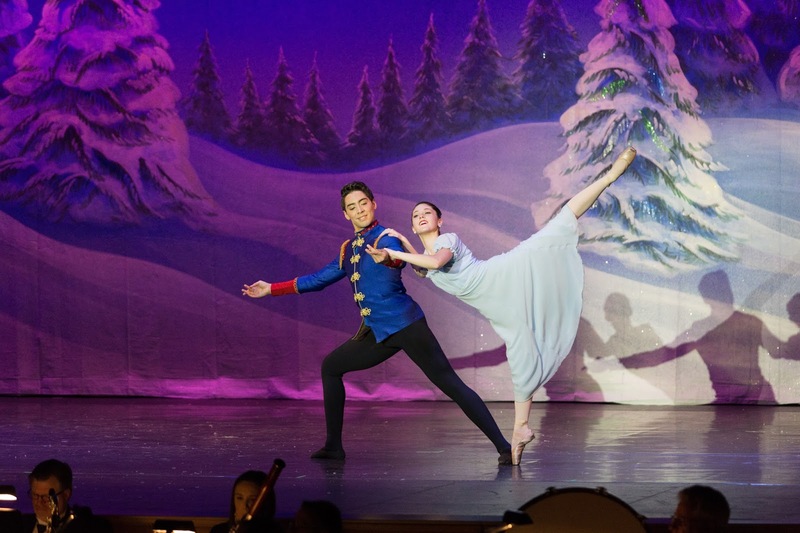 FPAC’s The Nutcracker also showcases the talents of scores of area students, ages 6 and older, from many regional communities and local dance schools. A choir will sing the ethereal choral parts that accompany the enchanting Snow Scene that closes the ballet’s first act. The production features a professional orchestra under the direction of Broadway conductor/arranger Eric Stern. With 19 Broadway shows to his credit, including Shrek, Xanadu, Follies, Parade, and Candide, Stern has recorded over 30 albums. He has performed in concert with renowned artists Audra McDonald, Mandy Patinkin, Barbara Cook, Dawn Upshaw, Dianne Reeves, Deborah Voigt, Jesse Norman, Thomas Hampson, the Irish Tenors, and many others. Stern has conducted many of the world’s top orchestras including the Cleveland Orchestra, Chicago Symphony Orchestra, London Symphony Orchestra, Orchestra of St. Luke’s and Boston Pops. He won an Emmy for his work for PBS, and his albums have been honored with a Grammy and two Gramophone Awards. He has enjoyed a long association with the National Orchestra of Wales as frequent guest conductor, and he currently teaches conducting at Berklee College of Music. Founded in 1991, the nonprofit FPAC supports educational arts experiences, quality entertainment and outstanding performance opportunities for professional artists, community performers and students of the arts. With a focus on youth development and a commitment to live music, FPAC celebrates its 27th season. Middlesex Savings Bank and Waters Corporation are FPAC 2017 Holiday Sponsors.